The home run has changed the game of baseball, moving it into a sport where might makes right and fans clamor for the clout. Unfortunately, due to sales rights restrictions, we cannot offer Home Run's Most Wanted™ for sale in your country. David Vincent, called"The Sultan of Swat Stats” by ESPN, brings it all to you in this fact-filled smorgasbord of home run knowledge. 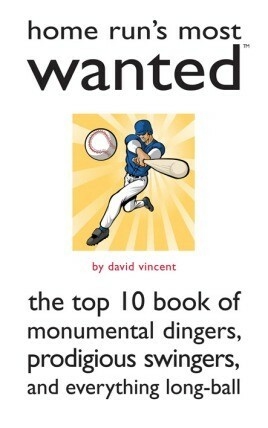 His detailed and varied top-ten lists include top home run totals position by position; players with the most homers against the Yankees; the youngest and oldest to "go yard”; pitchers who surrendered the most homers; the states that have birthed the most top hitters; home run hitters with the longest last names; and even the top totals for players with the common last name of Williams. There's so much more, too. With a database of every single round-tripper ever hit, Vincent can present just about anything home run related you can imagine, and does so in this book. From the interesting and surprising to the humorous and just plain offbeat, Home Run's Most Wanted™fills the bases with fun trivia about the longest ball of them all.